The 2014 North American Irish Dance Championships will be held at the Palais des Congres de Montreal July 2 - 6, 2014. Hotels are now open for booking. McBride Dancers, please check the MSID Section for all pertinent information, a copy of the Syllabus and Hotel Information. Entries will open April 1, 2014 and Close May 1, 2014. Look for some McBride Irish Dance alums and a current dancer on TV this Christmas season. Current McBride dancer from the Thursday class, Delaney Gill, along with Team Mize (which of course includes Eileen Mize, Karen Mize Gill, and Megan Mize Albright) join their parents and grandparents on ABC's The Great Christmas Light Fight. The Mize Family at Marinwood’s Mickey Mouse Christmas House are one of 20 families from across the country being featured on a new reality Christmas decorating competition on ABC this December--dubbed "the first reality show of its kind." For more information "LIKE" the Mickey Mouse Christmas House on Facebook for updates, photos, and more information: For more on the show click HERE to go to ABC.GO.COM. Please join the McBride School in wishing the Mize Family and the Mickey House Christmas House the Best of Luck and a Wonderful Holiday Season! Created and Submitted by one of our Dancers! We think You Rock too! Team McBride!! Come Celebrate St. Patrick's Day with the McBride Irish Dancers on Sunday March 17, 2013, as we bring a little bit of Ireland to the City of Dublin's St. Patrick's Day Festival! There is no better way to get your hands clapping or your feet tapping than with the Dancers from the McBride School of Irish Dance. For more information about the event, please visit the City of Dublin's Festival Website. GOOD LUCK to all the McBride Dancers heading off to Seattle this week for the Western Region Oireachatas. Check out the McBride School's Caelan, Liz and Katie in the Pleasanton Weekly, with a photo and caption from our performance at the Scottish Games on September 2. Clerk HERE to see the Pleasanton weekly and the dancers on page 5. The McBride Irish Dancers will be performing at the St. Augustine's Parish Picnic on Sunday, September 16. at 2:00 p.m. The Parish is celebrating Music and Dance from around the World! Come Join in on the Fun! Welcome to our new website! We hope you like it as much as we do. This page will be used to keep our families and friends up to date with what is happening with the McBride School, our students and Irish Dance in general. Please keep checking back. The McBride Dancers are performing today at the 147th Annual Scottish Games in Pleasanton, California. We will be performing from 10:30 to 3:30 at the Irish Pavilion. Come see a little bit of Ireland at the Scottish Games! Congratulations to Caelan, Julia, Katie O., Katie M. and Elsa for their first time participation at Nationals in Chicago! Congratulations to Isobel for her recall at Nationals and placing 40th! The competition was tough, but you ALL looked the part, danced beautifully and we couldnt be more proud of each and every one of you! GOOD LUCK to all the McBride Dancers competing this week at the 2012 North American Irish Dance Championships! Check our Facebook page, McBride Irish Dancers, or McBride Dance CA to keep up with all the news from Chicago! GOOD LUCK to all our Dance Friends competing this week! Elizabeth and her Brother Andrew are very talented Scottish Dancers as well, and were asked to perform at the Brave Movie Premier at Pixar Studios! Zuriah M. is one of our Champion dancers who also is trained in Scottish Dancing, who was asked to perform at the 99.7 premier of Brave! Some of you may remember the Pixar Short "Boundin" where McBride Alum and Champion Dancer Gwen B. was the talent behind the Irish Dancing Sheep in the film. Our Very Own Krissy Williams is in the News! Not only is she an accomplished Senior Champion Irish Dancer, but she is a Terra Linda High Track Star! Read the Marin Independent Journal Article about Krissy's run to break several long-standing 1976 track records at TLHS. We are very proud of her for her accomplishments, both on the dancing stage and on the track field! Congratulations to ALL our Dancers - Recall or No Recall! You danced beautifully and we are PROUD of Everyone! 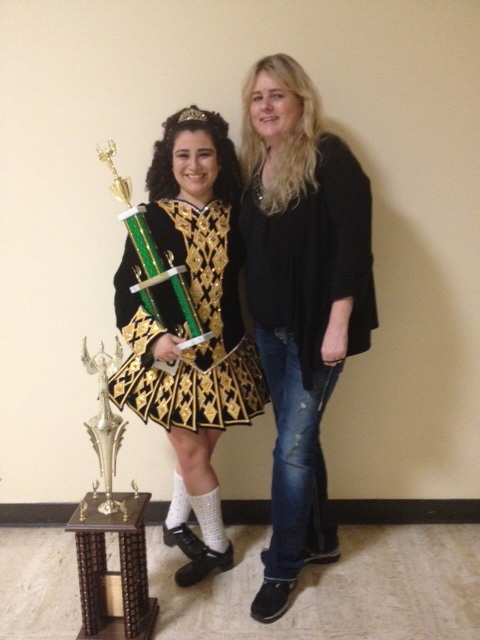 Congratulations to Gina who received her second win on October 20 at the East Bay Feis! Gina is now an Open Champion!! The second trophy is her 1st place win in the Treble Reel. Congratulations to All our Team McBride Dancers who competed at the North American Irish Dance Championships in Anaheim. You danced like the Champions you are! Congratulations to ALL our Solo and Championship Dancers who competed at Feis San Francisco. You ALL danced amazingly, and we are so very proud of each and every one of you, no matter the results! 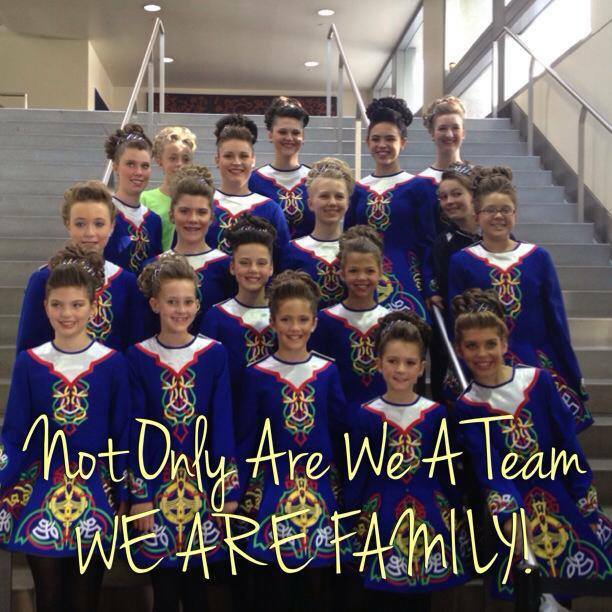 Every day our Dancers and Dance Families remind us why we love to teach Irish Dance! Thank you for choosing McBride! 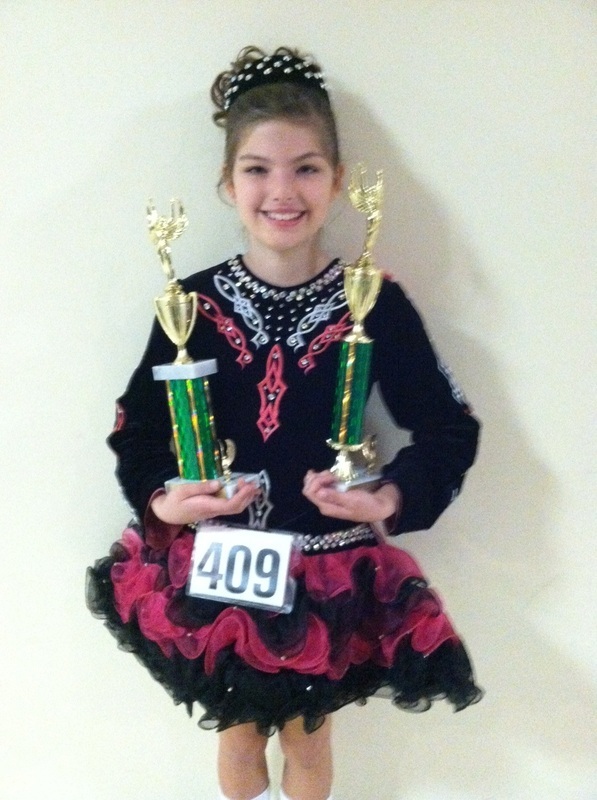 Congratulations to Brigitte on your First 1st - U14 Preliminary Championship at the John Kennelly Memorial Feis! Congratulations to ALL our McBride Dancers who did Fantastic this past Saturday in Sacramento! 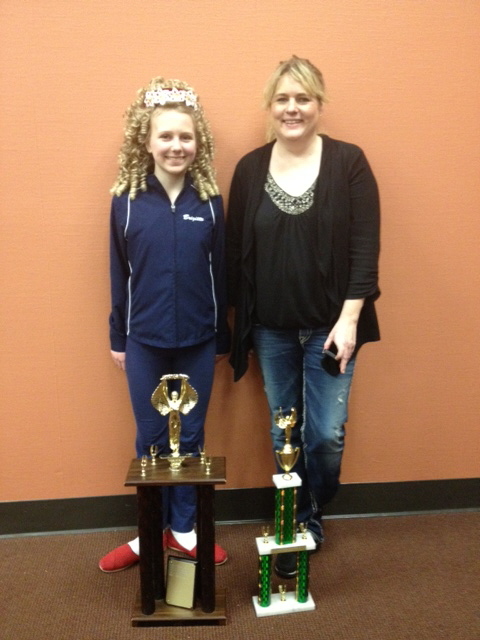 Congratulations to Jackie and Caelan on your First 1sts (U9 and U10 Preliminary Champion-ships) at the Irish Dance Aid Feis on December 16, 2013! You are on your way to Open! Congratulations to ALL our Dancers. Everyone who competed came home with fantastic results and we are very proud of you ALL! Congratulations to ALL our dancers who competed at the 2012 Western Region Oireachtas. No matter the results, we are proud of each and every one of you! You are ALL Champions to us! We hope that everyone had a wonderful time at the 2011 Western Region Oireachtas in Anaheim! It was the first Oireachtas for some, and we hope it was a great experience for you! 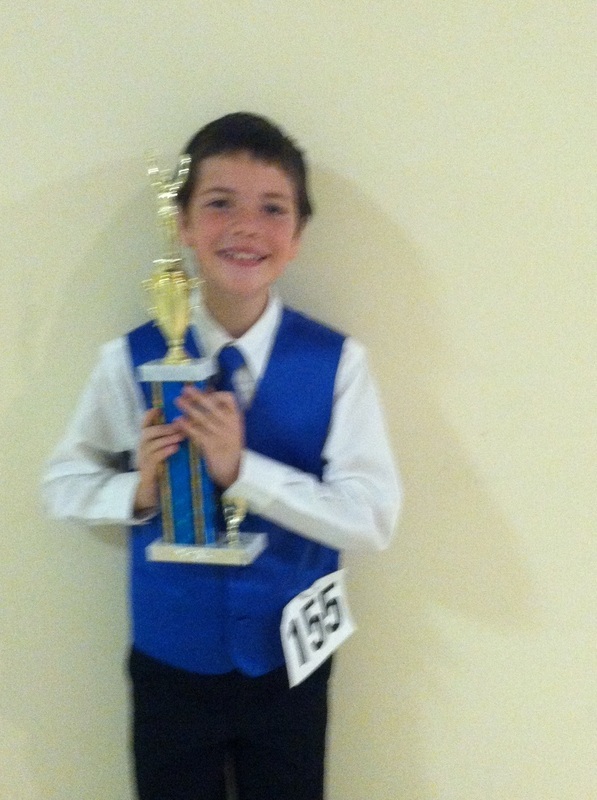 The McBride School had a very successful Oireachtas! U10 Mixed Ceili Team - 5th. All of the competitions were tough and we couldnt be more proud of ALL of our Dancers and Ceili Team Members! Now is the time to start working towards next year!